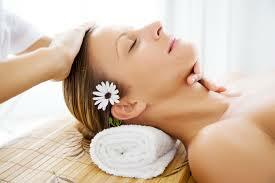 It is said that a relaxing facial massage is the more relaxing massage one could opt for! A relaxing facial massage is a favorite for both women and men worldwide. It is an excellent choice for relaxation and helps the skin look better and more youthful, as well as toning all the facial muscles. The fast pace of life we ​​lead causes stress. On top of that often we fail to take care of ourselves, for example, skip on 8 hours sleep, can be reflected on our faces. Tell tell signs such as puffiness and dark circles can appear, wrinkles and dull skin. It is also notable that over the years, skin loses elasticity and firmness. A relaxing facial massage can tone these muscles, eliminating the tension and allowing the skin to rejuvenate and become radiant once again. Historically massages are one of the techniques that most people resort to relax the body and mind, and a relaxing facial massage is not an exception. The facial muscles respond to the effects of a good massage and surprisingly a facial massage can be one of the more relaxing massages on the market! Improved muscle tone as the massage stimulates circulation and the facial tissues are oxygenated. The facial muscles gain strength and the contours of the face are more defined. A facial massage relaxes facial muscles, so not only leaves you completely relaxed but tones and prevents unsightly bags and dark circles appearing. Skin looks smoother, radiant and younger. Today, most beauty facials are accompanied by a relaxing facial massage and beauticians and massage therapists alike swear that a facial massage has a positive effect and helps facial skin look more beautiful. During a relaxing facial massage creams and nourishing oils are used, zones such as the chin, cheeks and nose and focused on. The massage works with gentle but firm movements, often circular. The eyebrow is also an important area to consider as it holds a lot of tension and stress. For the ultimate in pampering,book relaxing facial massage by clicking here. We are located in the center of Barcelona, ​​you will find the perfect atmosphere and professionalism you need you there!